For travelers ordinary, perhaps the most important aspects of traveling are comfort from the plane table received from the stewardesses and flying, so that few people think about how it looks the airports from taking off and landing. 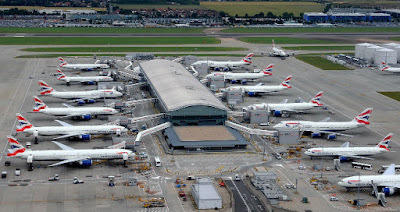 There are many ways to categorize an airport, the most known the number of passengers who used the airport in question. O'Hare Airport is located in the north of Chicago and is one of the most populated airports in the world. In 2013 they left or came no less than 66,883,271 passengers, being ranked No. 5 in our list. 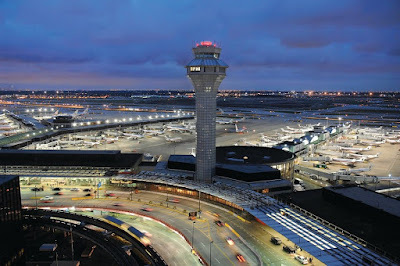 Chicago O'Hare is populated mainly by aircraft operating in North America and is owned largely by United Airlines, having a principal partnership with American Airlines. Tokyo International Airport, also known as Haneda Airport, is 4th among the largest airports in the world. In 2013 this was the place through which they passed 68,906,636 passengers. Currently, the airport is designed to support traffic of more than 90 million passengers. In 2013 the airport received a total of 72,368,630 passengers and enjoys the title of most visited airport by international passengers. London - Heathrow is constantly expanding and already is working on construction of a new runway, the third for this airport. Building plan are also, direct links to a high-speed train between Heathrow and Gatwick, London's other airport. 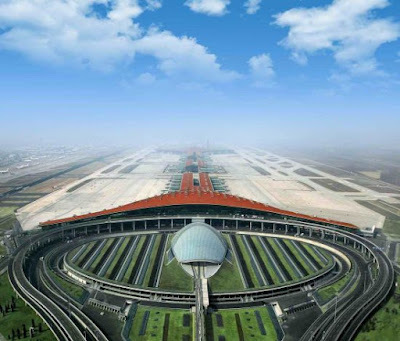 In second place in the top of largest airports is Beijing Capital, but it is also the largest and most populous airport in Asia. This received 83.712.355 passengers.The Chinese economy recorded also a very large increase considering that almost every electronic device is produced there, so we need a transport as well-tuned to deliver those products to Europe and especially the United States that reached the soon an agreement on various points. Hartsfield - Jackson Atlanta in the United States has the largest number of passengers per year: 94,430,785.